Hiking is more than just a fun outdoor activity with your friend(s) or even if you are going solo. It helps to increase your fitness level, lower your blood pressure and cholesterol as well as bring you great opportunities to get in touch with nature. But before you go, make sure you pack all the things you need to ensure your hiking trip goes as smoothly as possible. Here are the 10 essential things you should bring along. It is essential to keep yourself well hydrated throughout your hiking trail. This is to prevent dehydration and altitude sickness, which will cause the likes of headaches and nausea. Which is why you should always carry a water bottle with you. But sometimes a water bottle alone is never enough. If possible, bring along a portable water purifier and do your (online) research beforehand to ensure there are accessible water sources while you hike. Pro Tip: In case you are suffering from altitude sickness, it’s best to drink a liquid that contains electrolytes. 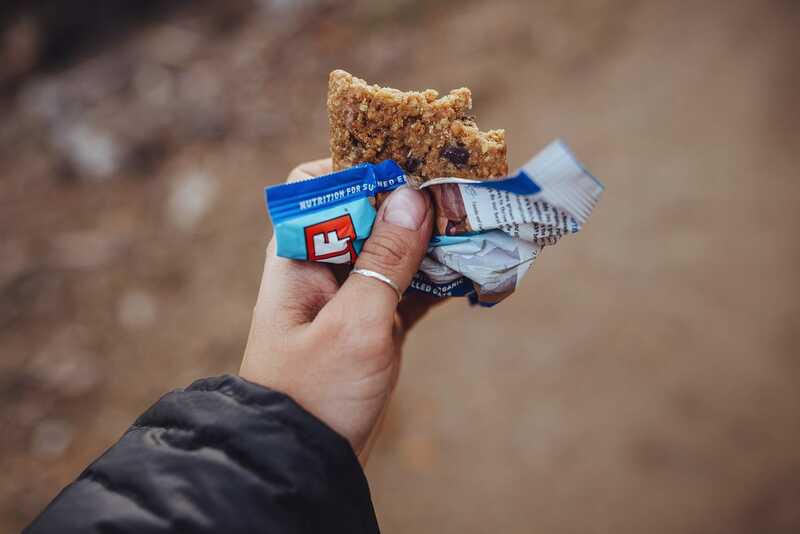 Just like water, food is just as essential to fuel your body throughout your hiking trail. You can pack light by bringing food like energy bars, dried fruits, granola and/or trail mix. All this can help replenish your energy whenever you need it the most. Wearing slippers or sneakers are strictly a no-no when comes to hiking. You do not want to end up with blisters, aching feet or other foot-related problems. Always put on a pair of footwear designed for or at least suitable for hiking purposes. 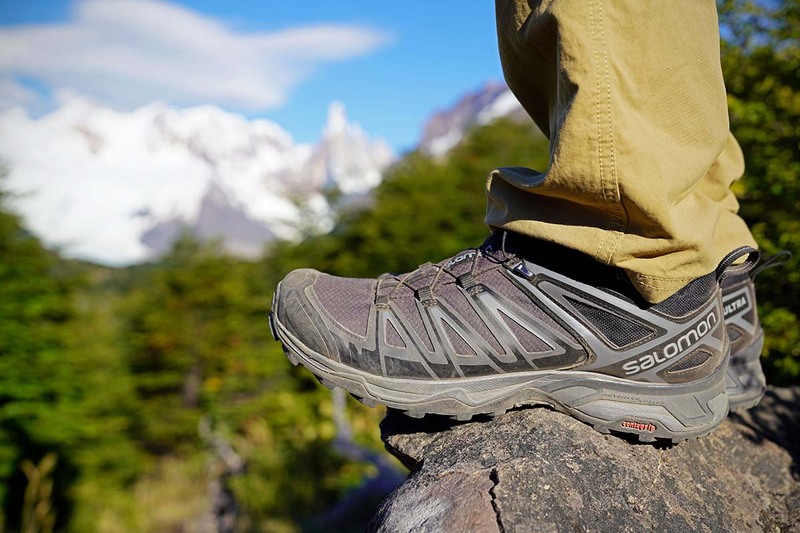 If you have yet to own one, invest in a pair that is lightweight, breathable, waterproof and has an appropriate sole that gives you enough traction. Just because there are marked trails doesn’t mean you won’t get lost while hiking. 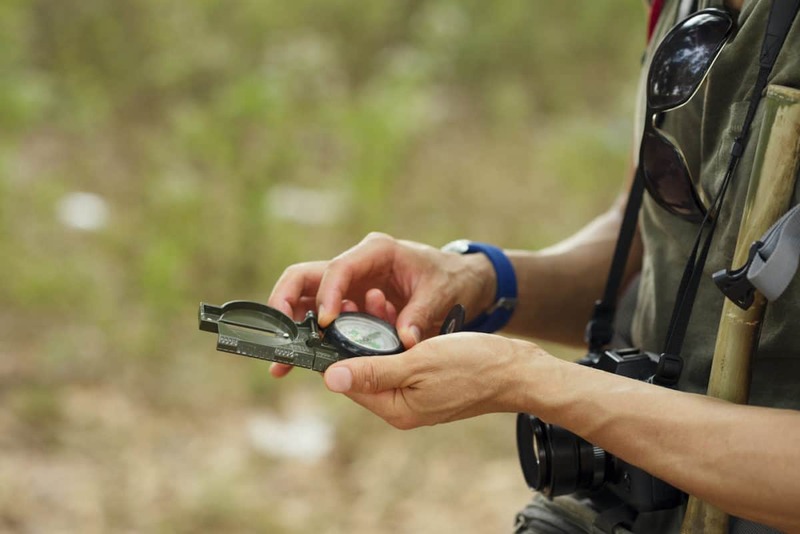 Always play safe by equipping yourself with a GPS unit. You may use your smartphone but sometimes, you might be facing a weak mobile data signal. So, it wouldn’t hurt to carry a compass and a map just in case. Whether you like it or not, accidents may happen during a hike. So, always pack a first aid kit into your backpack before you begin your hiking journey. Here are some of the basic essential items you should carry: bandages, gauze roll, adhesive tape, topical antiseptic cream/ointment, small scissor and plasters (band-aids). Hiking poles are essential to help increase stability while reducing impact on your knees and thighs. These items also make hiking a tad easier regardless of going uphill or downhill. Besides, today’s hiking poles are lightweight and foldable, making them convenient enough to store in your backpack. You may have checked the weather forecast a day before your hiking trip. But the truth is, weather can be unpredictable and it’s better to be safe than sorry by packing some extra clothing such as a moisture-wicking T-shirt and rain gear. You never know you might need it. Pro Tip: Avoid cotton since it tends to absorb more moisture and sweat on your skin. When you are in the great outdoors, you have to deal with the insects as well. This includes the likes of bugs, flies and mosquitos. Which is why it’s best to pack a bug spray or a mosquito repellent. Sure, you can always use your smartphone to turn on the flashlight. But it can also unnecessarily drain your phone battery. 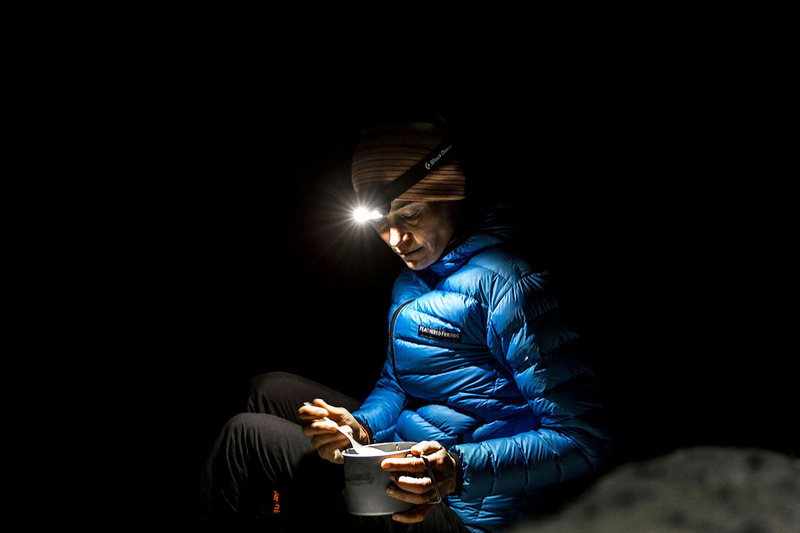 Put it aside for emergency use instead and pack a flashlight or a headlamp with you. It can be useful if you are hiking during dawn or late in the evening. Going on a hike may be a fun outdoor activity. But it can also make you feel both physically and mentally exhausted, particularly if the hiking trail takes longer to reach to the destination. Try playing some of your favourite music through a portable speaker. Music can help set a positive mood over the course of your hiking journey. Make sure to fully charge your portable speaker beforehand.